If you are a new homeowner you may be unfamiliar with the ongoing battle against termites. Termites are wood-destroying organisms that feed on cellulose material found in and around organic material like leaves, soil, and especially wood. Because termites prefer to eat wood they have the capacity to destroy the building materials that your home or business is made of. Often, termites go undetected until substantial damage has been done and repairs are necessary. Bait Stations: Bait stations containing a piece of untreated wood are placed in the ground around the perimeter of your home. Inspections are performed by checking each bait station for termite activity, instead of inspecting the structure itself. This method relies on the foraging behavior of termites. Bait stations are advantageous in areas where the water table is high and for buildings very close to water where termiticides may be unsafe. During inspections, only the bait stations are checked for termite activity. Most termite activity will be found in the crawl space, around fireplaces, in garages, and on porches, and these areas are not usually inspected. This is the major risk with bait stations: damage may be done to the structure before the termites have expanded their colony to the area where the bait stations are, thus going undetected. The annual cost of monitoring bait stations is typically 2 to 2 ½ times the cost of bond renewal for a house that has been treated with liquid termiticides. If you are unable to pay your inspection costs, the bait stations may be removed, leaving your untreated home without a monitoring system. Borates: Borate pesticides are applied as a liquid directly to the wood, in a 1 to 1 ½ foot horizontal strip from the ground up, which leaves a residue of the chemical that acts as a termite barrier. Borate treatments can only be done during construction. Research has shown that borate-treated wood prevents termites from tunneling, though termites have been known to create tunnels overtop of the borate to reach untreated wood. This method is risky because any area that is missed during treatment can provide the perfect bridge for termites to gain access to the untreated wood structure. It is recommended by the Department of Pesticide Regulation to secure a Termite Bond for your home once your home has been treated with any of the above methods. The terms and conditions of bonds vary depending on treatment method and the company providing the bond, so make sure to read all the fine print. Also note that for bait stations and borate treatments, a waiver must be signed and submitted to the DPR because these are sub-standard treatment methods when used as stand-alone treatments. Liquid termiticides are approved as stand-alone treatments. *The Department of Pesticide Regulation at Clemson University is an excellent resource for all questions related to termites and other pests. To help you make the best decision when choosing your pest control company, read this PDF. 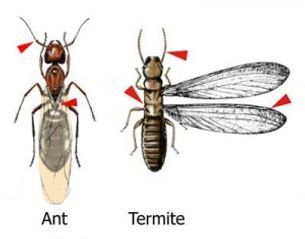 A termite bonds is essentially an insurance policy to cover your home or business when termites appear. By South Carolina law, a termite bond must be good for 5 years if it is renewed annually and is for re-treatment only. Brett’s pest Control offers a variety of bonds that include enhanced coverage such as damage and re-treatment. Brett’s Pest Control generally offers 10-year bonds, but a continuous bond may also be an option. Continuous bonds do not require a re- treatment at the end of ten years. All bond options require visual inspections. What Happens at an Annual Inspection?